Our local market town with doctor, dentists, banks, cash points and large modern supermarket is just 5 minutes away by car. 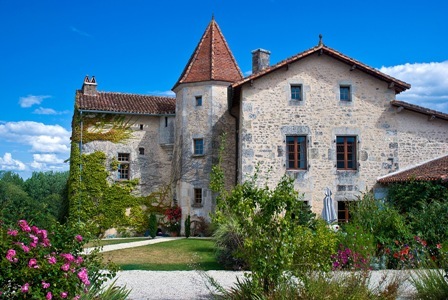 The 10th century feudal Chateau dominates the region from its hilltop. The Chateau is open to the public 10am to 6pm (with the obligatory French 2 hour lunch break!). 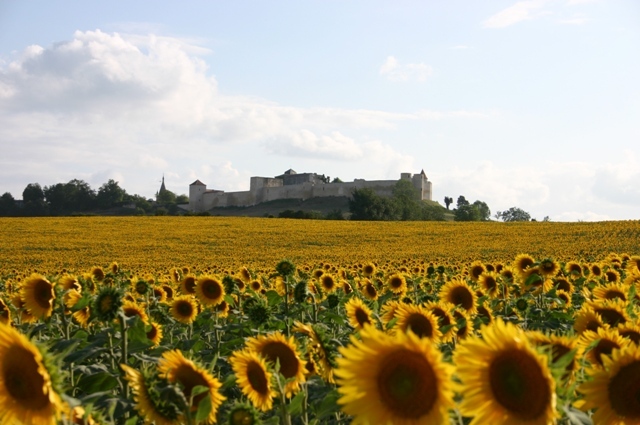 From the top of the towers you'll get a magnificent views over both the Dordogne and Charente valleys. A market is held every Saturday morning where you can enjoy a dish of fresh oysters with a bottle of Muscadet under the ancient covered market square. Click on the menu in the top left corner of the map for a drop down list showing details of all the amenities.